Graphogen Ltd would like to welcome you to our newly designed website. 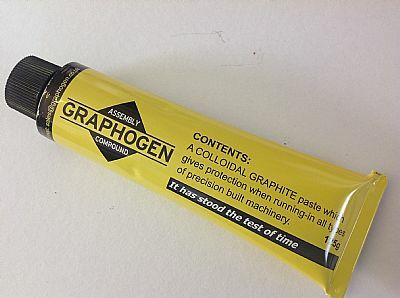 Graphogen Ltd are the new manufacturers and retailers of Graphogen Assembly Compound. Why not read about the journey of Graphogen. You will be glad to know, however, the product itself remains totally unchanged. Graphogen has 'stood the test of time', having been in production for over 65 years and, those who use it, will know why. If you want to know more about the product - what you can use it for and what it's benefits are - then click here. If you already know the product and simply want to replenish your stocks, then you can place your next order with us here or get in touch with one of our many stockists. We look forward to receiving your call.